Hello and welcome. Today I have a really fun and easy technique to share with you. 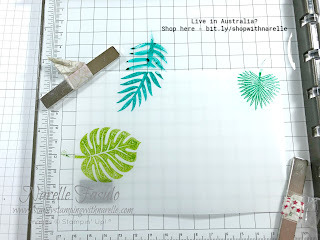 It is a background technique that will see you make three backgrounds with only one ink up of the stamp. Clever huh! Before I show you how to do it, I wanted to show you the three cards I ended up with using this technique. I will show you how to do it, then give you a better look at each card. 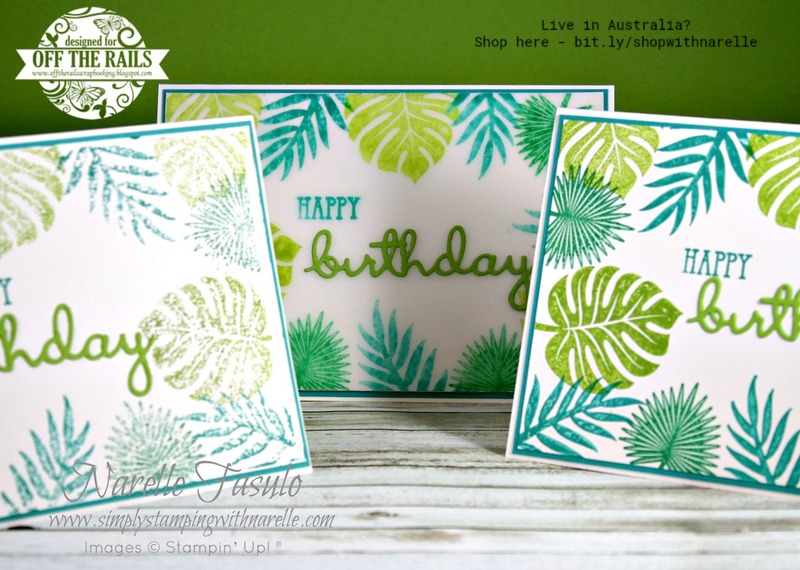 For this technique you will need a Stamparatus or other stamp positioning tool. 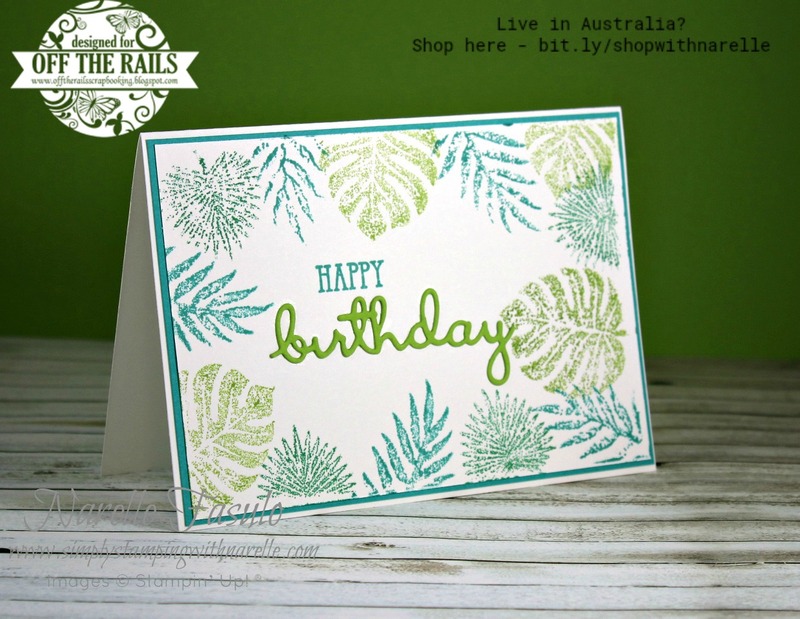 You will also need 4 pieces of Whisper White card stock and a piece of Vellum all cut to the same card front size. The first step is to place the vellum into the Stamparatus and position your stamps. Now pick up the stamps with the acrylic lid, ink them up and stamp onto the Vellum. Ink takes a long time to dry on Vellum and herein lies the secret to this technique. 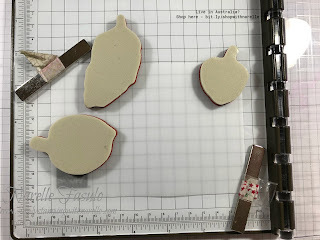 Place two of your Whisper White pieces directly over the stamped Vellum piece. Then, without reinking the stamps, stamp again. 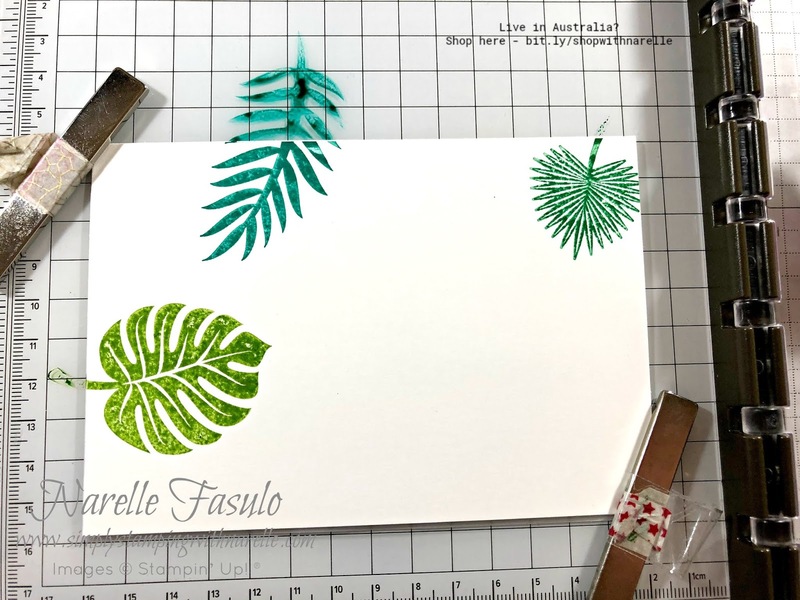 Press firmly as you want to make sure that the wet ink on the vellum transfers to the piece of Whisper White card stock sitting directly on it. This will create a mirror background as the ink transfers to the card stock, so that is your second background piece. 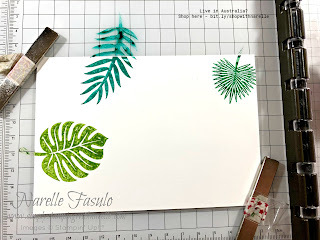 The third background piece is created by the ink still left on the stamps transferring to the top piece of card stock. 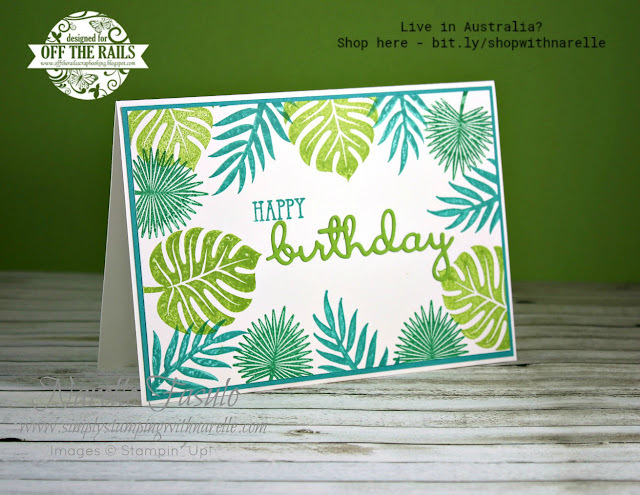 I kept repeating this process until I had the leaves all around the edge of the card stock. When you are finished you are left with three background pieces that all look the same but different. You can see below that the bottom one is the original Vellum that I stamped on. 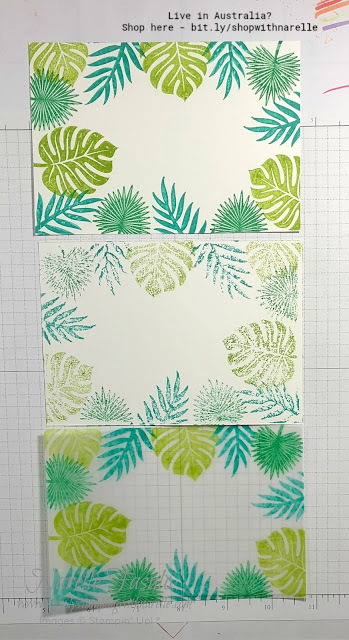 The one in the middle is the piece of card stock directly above the vellum and the wet ink transferred to the card stock. The top piece is the top piece of card stock that got inked up with the remaining ink on the stamps. I absolutely loved doing this technique. It was so cool to see it come together. And what a quick way to make a heap of backgrounds. Here are the finished cards. All the same but different. This first one is the Vellum card. 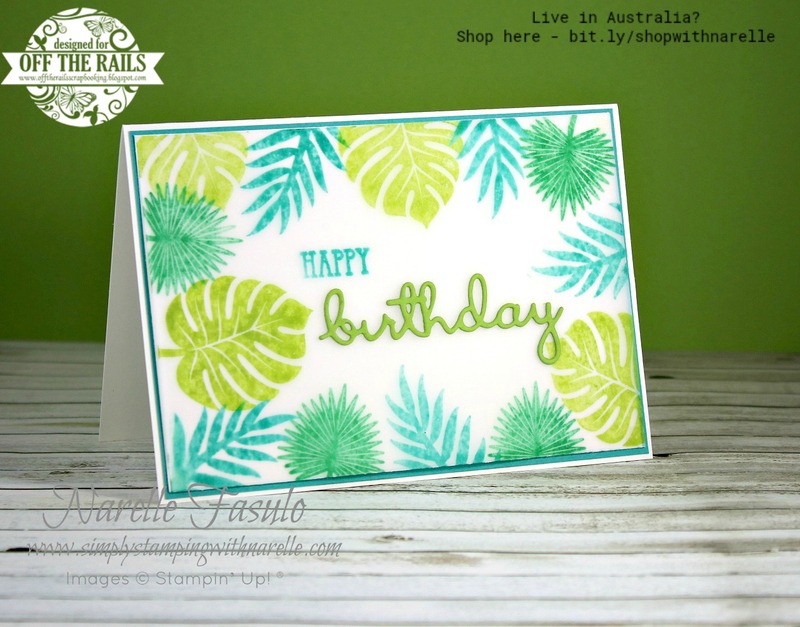 I mounted the Vellum piece onto another piece of Whisper White so the stamping stood out as I backed it with Bermuda Bay card stock. The stamping was lost when I placed the Vellum onto the coloured card stock. This one is the middle background where the ink transferred from the Vellum. And this final one was ink left on the stamps when stamped the second time. I hope you have enjoyed this tutorial and will try this technique soon. To purchase any of the products I have used, please see the Shopping List below.